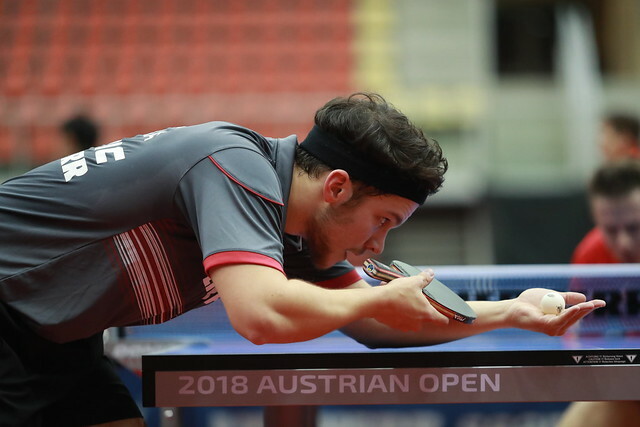 A ground breaking initiative but for the partnership supported by the ITTF Foundation and sponsored by Sportsmaster, as play concluded on the evening of Friday 9th November at the Seamaster 2018 ITTF World Tour Platinum Liebherr Austrian Open in Linz, it was the end of the road for the combination formed by Korea Republic’s Jang Woojin and DPR Korea’s Cha Hyo Sim. At the semi-final stage of the Mixed Doubles event, the no.4 seeds, they were beaten in three straight games by China’s Xu Xin and Liu Shiwen (11-5, 12-10, 11-7). Awaiting in the final is the Chinese Taipei combination of Chen Chien-An and Cheng I-Ching, the top seeds and silver medallists at the Liebherr 2018 World Championships in the German city of Düsseldorf; in a closely contested five games encounter, they overcame Hong Kong’s Wong Chun Ting and Doo Hoi Kem, the no.3 seeds, by the very narrowest of margins (8-11, 11-6, 11-9, 8-11, 11-9). Defeat for Wong Chun Ting and Doo Hoi Kem but like Chen Chien-An and Cheng I-Ching they have qualified for next month’s Seamaster 2018 ITTF World Tour Grand Finals to be staged in Incheon; most significantly so has the pairing of Jang Woojin and Cha Hyo Sim. Once again there is an opportunity for the Korean Peninsula to be unified.